These three stocks are great 'value plays' that boast bullish analyst ratings. Every investor would love to find a bargain -- a stock that is temporarily trading below where it should be and that has the potential to surge higher. Below are three stocks trading for less than $5 that are worth checking out as possible additions to your portfolio. 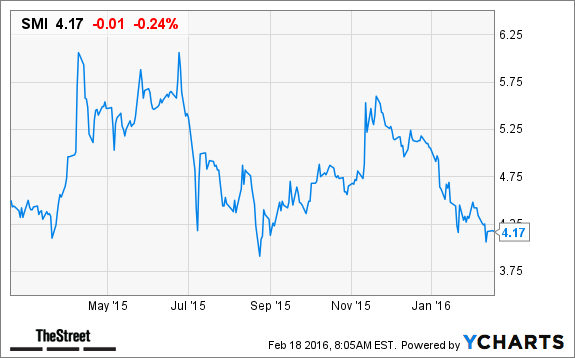 Over the last year, shares of Frontier Communications have fallen from grace. The stock of the company, which provides communication services to rural areas and smaller towns and cities in the U.S., has lost close to half its value (47%). This Motley Fool article details what happened, but in a nutshell, investors became unhappy about slowing broadband subscriber growth and rising costs after initially getting excited about Frontier's acquisitions of assets from AT&T and Verizon. The story isn't over yet, though. It has taken a while for Frontier to get all the required state and federal approvals for the $10.5 billion Verizon transaction, which involves wireline, broadband and video operations, and FiOS networks in California, Florida and Texas. But in December, Frontier secured its last regulatory thumbs-up -- from California -- and now the deal is expected to close in March. The Motley Fool article points out that Frontier had to raise significant capital for the Verizon transaction, but it also notes that the deal gives Frontier a growth opportunity. If Frontier can manage its debt and retain its existing customers while making the most of that opportunity, it could pay off nicely for this company and its shareholders. 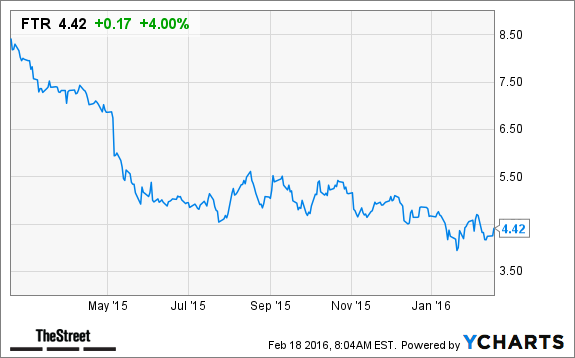 Income investors should note that this stock offers a dividend yield of close to 10%. Despite the pressure the stock has been under in the past few years, it is commendable that dividends have been unharmed. The company not only maintained its dividend from 2012 to 2014, but also raised it last year to 10.5 cents. The median 12-month price target of analysts covering the company is $6.00, which suggests the stock could rise 36%. Meanwhile, 12 of the 16 analysts covering this stock have a strong buy or buy rating on it. In the first three quarters of 2015, this Shanghai, China-based semiconductor foundry trounced analyst expectations for adjusted earnings per share. The stock has slid 6.5% over the past year, but this merely provides a good entry point for investors. On Thursday the company reported earnings per share of 5 cents for the fourth quarter of 2015, which was less than the analyst consensus for 10 cents, but we view this miss as a temporary weakness. Recent news that Semiconductor Manufacturing International is receiving an investment from the Shanghai Integrated Circuit Investment Fund bodes well for the company, according to Moody's Investors Service. "SICIF's investment will strengthen SMIC's financial capacity, which will in turn enhance SMIC's competitiveness by allowing the company to expand its capacity and develop more advanced technologies," said Lina Choi, a Moody's senior credit officer. Moody's also said the funding should help Semiconductor Manufacturing International pay for its continuing capacity expansion for 28-nanometer products, as well as the construction of new 12-inch wafer fabrication facilities. Elsewhere, there was news last September that a fund that manages semiconductor investments for the Chinese government was pursuing a possible purchase of GlobalFoundries. If this deal goes through, it is likely that the fund will share the acquired technological know-how with Semiconductor Manufacturing International, which is China's largest foundry. This could give the company a big boost over Taiwanese rival Taiwan Semiconductor, because GlobalFoundries has developed coveted 14-nanometer FinFET technology. Analysts surveyed by Thomson Reuters are bullish on the stock, with all three analysts who cover it rating it a strong buy or buy. Their median 12-month price target is $5.80, suggesting the stock could gain 39% over the next year. 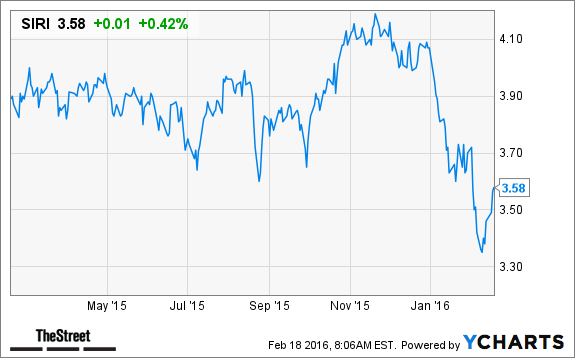 Sirius ended 2015 close to its 52-week highs, but the journey since then has been rough. The stock is down 11% year to date, but we're not giving up on it just yet. In its most recent quarter, Sirius XM's EPS was 3 cents on revenue of $1.2 billion, both of which were in line with estimates. For all of 2015, adjusted earnings before interest, taxes, depreciation and amortization rose 13% to $1.66 billion, a new record high for the company. The radio service provider also added 2.3 million net new subscribers in the year, reflecting the strongest subscriber growth since 2007. For 2016, management has released guidance of attaining 1.4 million net subscribers and recording $4.9 billion in revenue -- 7% higher than the 2015 revenue. However, this company has a history of releasing conservative guidance and beating its own estimates, so investors can expect even better results. Sirius XM owns a 32% stake in Sirius XM Canada, and there have been recent reports that the Canadian company has been approached about a deal to take it private. This could provide a cash boost to Sirius XM, allowing it to invest in new capabilities. Amid consolidation in the space, there's also the possibility that Liberty Media (LMCA , which owns a 61% stake in Sirius XM, might consider a full buyout of it, which could be a bonanza for current stockholders. Analysts expect average annual earnings growth over the next five years of 21% for Sirius, better than the 13.77% expected for the industry and the 5.55% expected for the S&P 500. The stock price is also expected to witness significant gains. Analysts have a 12-month median price target of $4.60, representing about 32% upside from current levels. One investor in a hundred may know the strategy Warren Buffett used to build his first million. Even fewer know the system can be followed by anyone. This strategy should (I'm quoting the great man himself here) earn you "50% a year in the stock market." There's no faster way to make your million. Click here to learn more.